At Beyond, we foster a culture of curiosity, open-mindedness, and experimentation that boosts our creative spirit. We continuously tackle complex challenges and arrive at streamlined solutions. But, keeping up with various deadlines and meeting our demanding goals can become time consuming, leaving us stressed out with no breathing room for ourselves. Recent research suggests that 73% of employees exhibit psychological symptoms of stress and 52% of employees admit to calling in sick due to stress. Needless to say, stress kills creativity and doesn’t foster a positive work environment, which we strive to uphold here at Beyond. So we became our own client and challenged ourselves: how can we, as an agency, balance our exciting client projects with our increasingly important mental health? 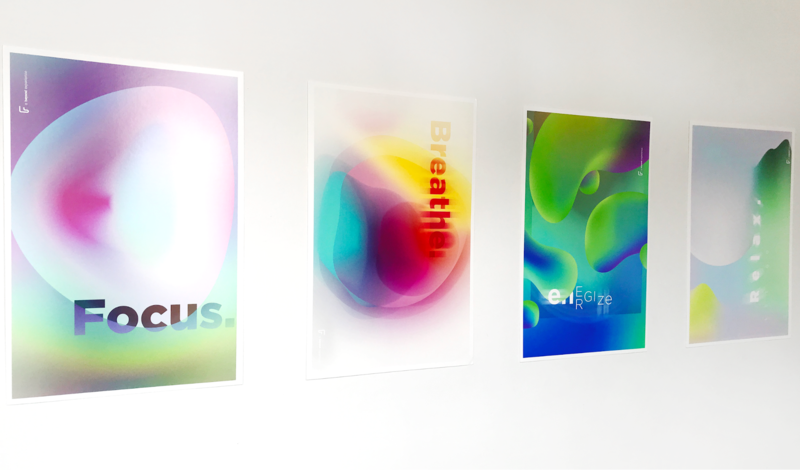 We were determined to create a highly immersive experience, unique to Beyond’s people and culture, that encourages our colleagues to take their mental health and well-being as seriously as our client work. 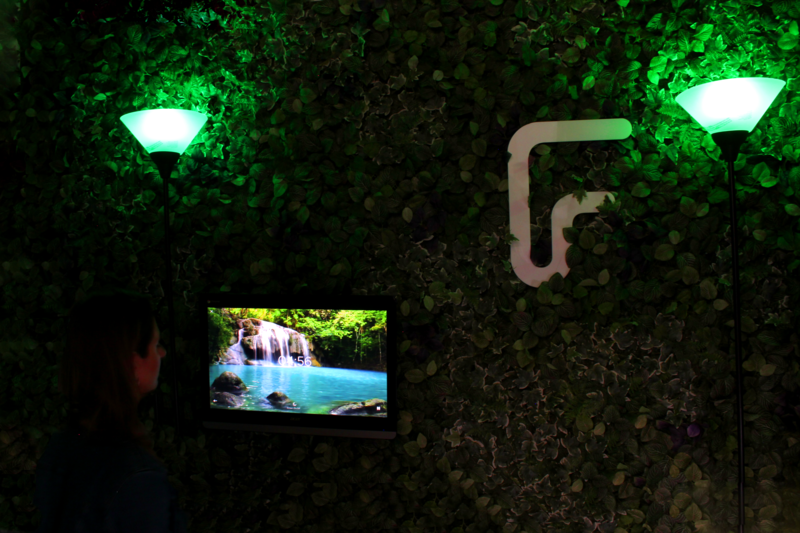 After thorough research and an iterative process, members of our NY team built and launched Feels: an immersive, guided meditation room. Feels is a way for us to practice mindfulness, which teaches us to stay in the present and has proven benefits of reducing anxiety and increasing focus and productivity. 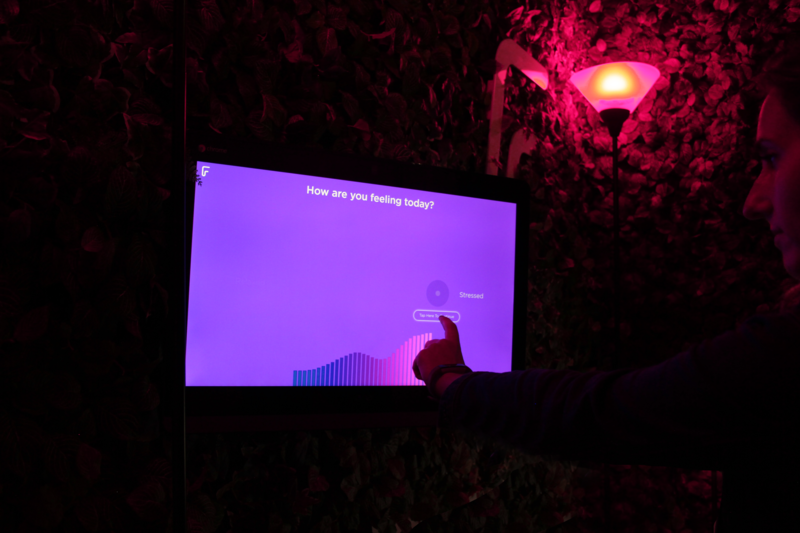 Feels allows users to step into a custom designed room and choose one of the three experiences tailored to their needs: 1) a guided meditation for beginners, 2) an unguided meditation for mindfulness veterans, and 3) a recharge mode for anyone who’d like to disconnect and rest. (Coming soon: we’re also hard at work on a new feature for people who want to take a quick stretch break!). At the end of the experience, users are encouraged to fill out a survey so that we can continue modifying and adding new features to Feels based on our users’ needs. “Beyond’s recently created ‘Feels’ experience is a space that promotes calmness and tranquility, amongst the hustle and bustle of agency life in New York. This experience forms part of my daily ritual whereby I take a few minutes out of the day to stop, pause and reconnect with my body and mind. Amongst other things, I’ve found it effective in helping me to concentrate for extended periods and deal with distractions. We’re excited to be launching Feels! We’ll also be kicking off our next phase with an on-the-go Feels product that uses VR technology, so users can take this experience with them when they’re out of the office too. Follow us on social media to stay tuned in the next few months for updates on Feels!